Mineral Salt can supply the body with the combined energy of 84 essential ionized minerals found in Pure Himalayan Crystal Salt which the body can hold for 24 hours. Mineral Salt can harmonize the alkaline/acid balance in the body and normalize blood pressure. Mineral Salt can dissolve and eliminate sediments which lead to stones and various forms of rheumatism like arthritis and kidney and gall bladder stones. Mineral Salt can lower the craving for addictive desires. Mineral Salt can help with skin diseases by cleansing from the inside out. Mineral Salt is most effective in stabilizing irregular heartbeat. Mineral Salt has a strong antihistamine. Contrary to the misconception that it causes high blood pressure, this salt is actually essential for the regulation of blood pressure in conjunction with water. 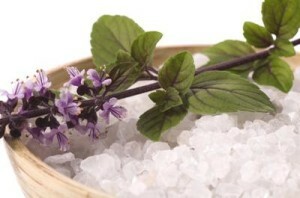 Mineral Salt is essential for prevention of muscle cramps. Mineral Salt is vital for preventing excess saliva production. Mineral Salt is absolutely vital to making the structure of the bones firm. Osteoporosis, in many ways, is the result of salt and water shortage in the body. Mineral Salt is vital to the extraction of excess acidity from the cells in the body, particularly the brain cells. Mineral Salt is vital for balancing the sugar levels in the blood, a crucial element for diabetes sufferers. Mineral Salt is vital for sleep regulation. It is a natural hypnotic. A little Mineral Salt on the tongue will help stop persistent dry coughs. Mineral Salt is vital for the prevention of gout and gouty arthritis. Mineral Salt is vital for the generation of hydroelectric energy in your body’s cells. Mineral Salt is vital to the nerve cells for communication and information processing. Mineral Salt is vital for absorption of food particles through the intestinal tract. Mineral Salt is vital for maintaining sexuality and libido. Mineral Salt is vital for the communication and information processing between nerve cells. Mineral Salt is vital for the clearance of the lungs of mucus plugs and sticky phlegm, particularly is asthma and cystic fibrosis. Mineral Salt is vital for clearing up congestion of the sinuses.